There are two reasons that we require to collect information about you and your travel companions. Firstly to process your purchase of travel insurance and secondly, to ensure that we provide you with the best possible service. We aim to keep all information we hold about our valued customers accurate and up to date. 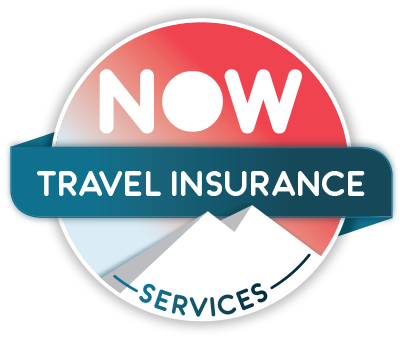 You can request to see the information that we hold about you by emailing us at info@nowtravelinsurance.com. If you do find any inaccurate details we will delete or update these as you request. During the quote and purchase process you will be given the opportunity to opt in or opt out of any marketing communications from NOW Travel Insurance. The form of information we will collect includes your name, address, phone number, email address and payment card details. Your payment card details are never available in their entirety and are only stored on our secure servers for the servicing of your policy if required. We use technology and code on our website to analyse the behaviour and patterns of customers and visitors to our website. This includes using cookies which will be stored on your computer. NOW Travel Insurance Services use these cookies to help improve the customer experience and journey through our website. Two types of cookies are used on our website. The first type being a cookie that is necessary to enable the site to function properly through the quotation and sales process. The second type being a third party cookie from Google enabling us to track website traffic flows and usage. When a cookie is used it will be downloaded and stored on your computer’s hard drive. The cookie will then collect general information but will not identify you personally. If you do not wish this to happen you can usually modify your internet browser settings to prevent this. Please note that disabling cookies can severely affect the functionality of some websites, including NOWtravelinsurance.com.